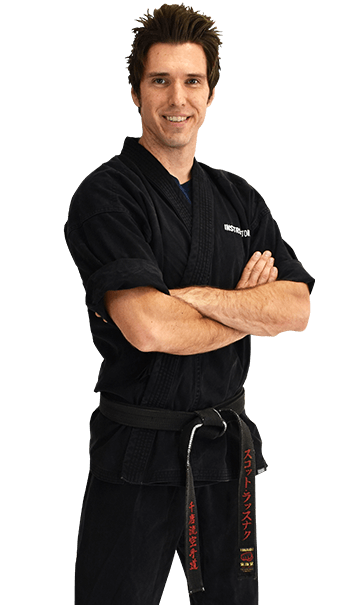 Hi, my name is Sensei Scott Rusnak and I am the owner of Topflight Martial Arts. When I began my martial arts journey, the positive impact it had on my life was remarkable. 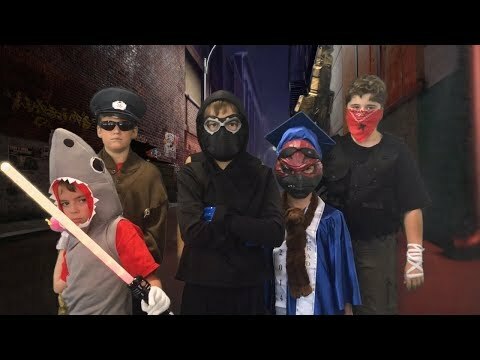 It was always my dream to someday own my own school, and when I opened Topflight Martial Arts in 2011, I made a commitment to our community in Wellington to create an enjoyable environment for students to improve their fitness, while building confidence they can carry into their everyday lives. Our children's karate program creates leaders. We do this by teaching the same values you teach at home. Our adult program is second to none. From traditional martial arts to more modern self-defense styles, there is something for everyone at Topflight Martial Arts. If you are looking to burn major calories, learn self-defense moves and get in the best shape of your life, you must come and check out our program. My daughter is one of the charter members of Topflight Martial Arts. I'm excited to say she will be testing for black belt this fall as the first class to progress to this rank! Sensei Scott is amazing with his teaching and skills with children. I've been to numerous martial arts schools in my own youth and looked at several here in S. Florida for my daughter to attend and I can say whole-heartedly that Scott is the best I've seen. He teaches my kid and the other students all of the core curriculum you want from martial arts and moreover a good little citizen. I commend Sensei Scott with his patience and the virtues he's helping instill in our children. The most amazing dojo ever! We love Sensei Scott and his classes. He has so much patience and understanding. He is kind with his words to all students, no matter what level they are at. I sat-in on a class and I could tell that the parents really liked and respected Scott for all the care and devotion he shows to his students. I got the impression that he was more like every kid’s fun-loving big brother that a martial arts instructor, yet I realized how serious he is to his craft, yet mindful of every child’s capabilities. I could tell that the kids really liked being there, learning skills from a master who really cared about them. He made training fun for them and they appreciated it. If anyone wants proof, just ask the students for their own reviews. If you know a child who would benefit from Sensei Scott’s instruction, call the dojo and ask to visit a class - and bring your youngster with you. Both of you will be in for a treat. To say that I'm not easily impressed with group classes for kids is a polite understatement. Both as a mother and as a writer and speaker on the psychology of health motivation, I can say that I was blown away by Topflight MA. Sensei Scott and team guide the kids through lessons that are the perfect balance of fun and self-discipline. I love my son's improved focus and the knowledge that my daughter has one heck of a kick in her. We are only here seasonally, but we will definitely be back! We are seasonal residents of Wellington and Top Flight, and Sensei Scott welcomes our son every year with enthusiasm. Our son can't wait to return to the dojo either! Wonderful place. Treats the children with respect and they work HARD to progress correctly.